Sports fans are still reeling from the recent battle between the Patriots and the Vikings, and while the smoke clears, we thought it worthwhile to take a look at the careers of these two interesting teams. The New England Patriots, also called the "Pats", is the professional football team of the Greater Boston area, with home games played in the Gillette Stadium at Foxborough, Massachusetts. 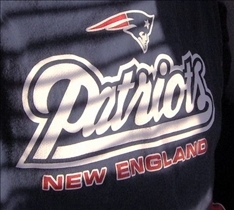 The Patriots belong to the American Football Conference’s East Division of the National Football League. Originally named the Boston Patriots, the team changed its name after moving to Foxborough in 1971, although Foxborough is actually a suburb of Boston. The Minnesota Vikings is the professional American football team playing out of Minneapolis, Minnesota. The team belongs to the National Football Conference’s North Division of the National Football League. Previously belonging to the Central Division, a realignment in 2002 placed the team in the North Division in which it currently belongs. In 1960, the Vikings joined the National Football League as an expansion team. The Patriots is only the second team in the NFL to win three Super Bowls in four years, a feat it achieved from 2001 and 2005, and which it shares with the Dallas Cowboys. It is also the eighth team to win consecutive Super Bowls. The Patriots has also enjoyed the longest winning streak of 21 games, which it did with quarterback Tom Brady and head coach Bill Belichick. The winning streak was accomplished from October 2003 to October 2004. The Vikings is one of the most successful teams in the NFL, currently having the fifth-highest percentage of wins in the league. The first team to play in four Super Bowls, they nevertheless failed to win any of the games, a record that was similar to AFC’s Buffalo Bills. In fact, no other team has played as many NFC or AFC Championship games without winning a Super Bowl title. There are currently ten Minnesota Vikings in the Pro Football Hall of Fame. In the recent Patriots-Vikings match up, Brett Favre managed to maintain his starts streak despite an injury to his ankle. Randy Moss was back with the Patriots however, and the Vikings’ contributions did little to stop the Patriots’ onslaught. While Favre showed a strong performance at the start of the game–having pushed his NFL record to 292 straight–he was down for the count after a rough tackle by Patriots Myron Pryor halfway through the fourth quarter. When the game ended the Patriots had won 28-18. Which football team is better?